Will and Beth have bags of charm and we didn’t have to try very hard to make their personalities leap out of the screen in this vintage wedding videography! 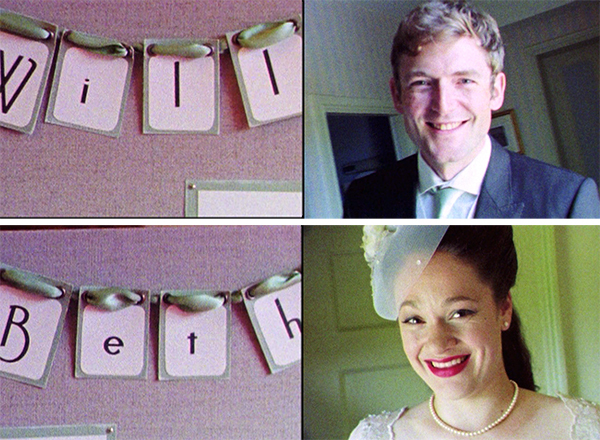 It was a real pleasure to film such a sweet couple and we adored all the special little vintage touches they put into their day, from the beautiful lace wedding gown that Beth reworked herself from a charity-shop find, to the vintage-inspired stationery and signs. Their creativity and attention to detail made the day a visual feast and the Manners Arms at Knipton proved a splendid backdrop. We have been experimenting with videography on an old Super 8 camera (canon 814 XLS ; ) this year. We shoot real Super 8 film stock and send it off to Germany to be developed and converted so we can edit it alongside our modern high definition footage. 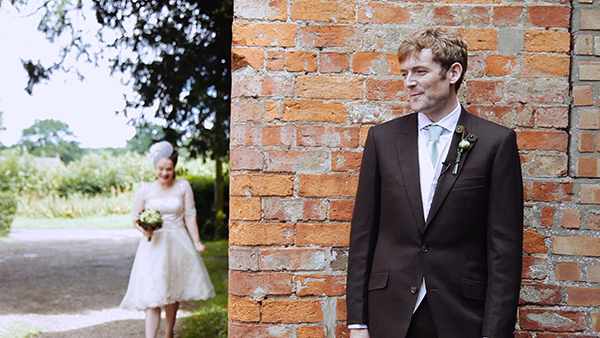 I think you’ll agree that the grainy old style look works really well with the vintage wedding styling of Will and Beth’s day. Our cinematographers even managed to film a time lapse on Super 8! See if you can spot it! I hope you enjoy this video as much as I do – it makes me smile, and shed a little tear every time I watch it! Ladies and gentlemen, meet Mr and Mrs Hayes!